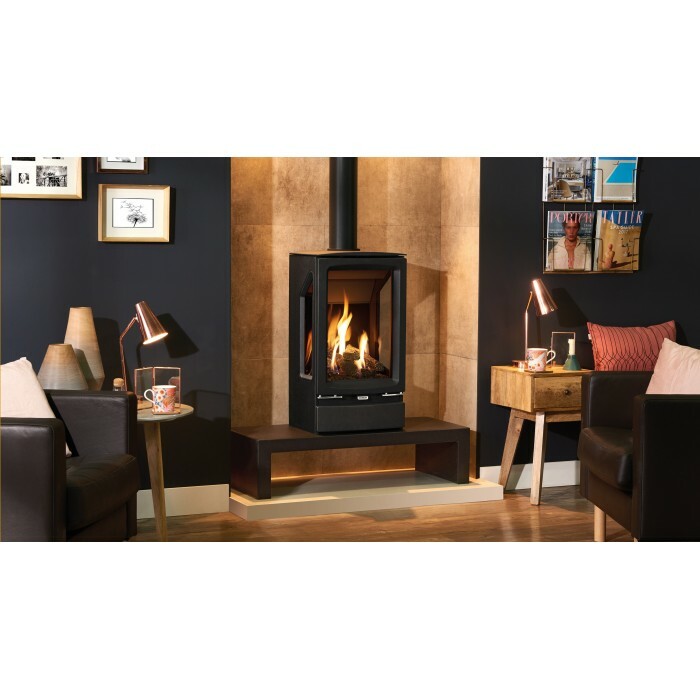 The versatile Gazco Vogue Midi T gas stove range provides stunning flames and a high efficiency heat output of up to 84%. 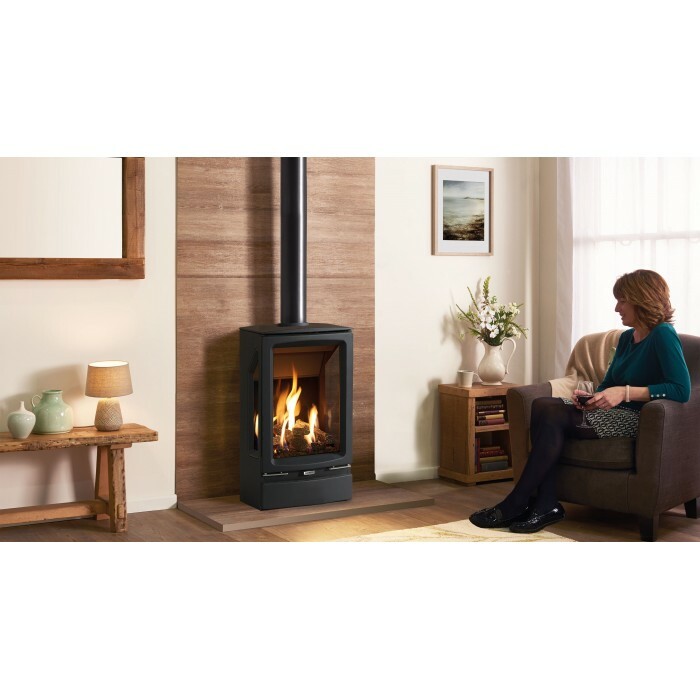 Taking the elegant styling of the smaller Midi range, the Midi T’s bevelled cast iron exterior encases a taller firebox that offers a three-sided view of the impressive visuals. 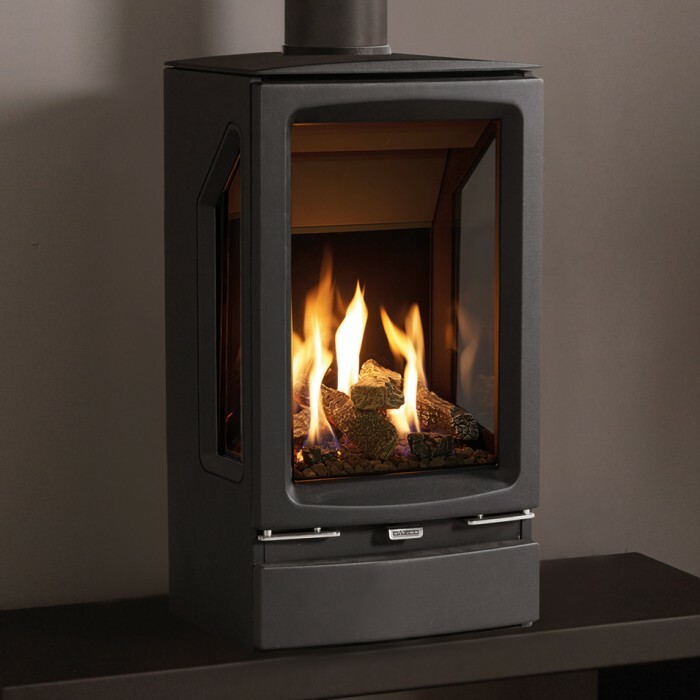 Vogue Midi T stoves feature a highly realistic log-effect fuel bed which is reflected on multiple sides by Gazco’s EchoFlame Black Glass interior. 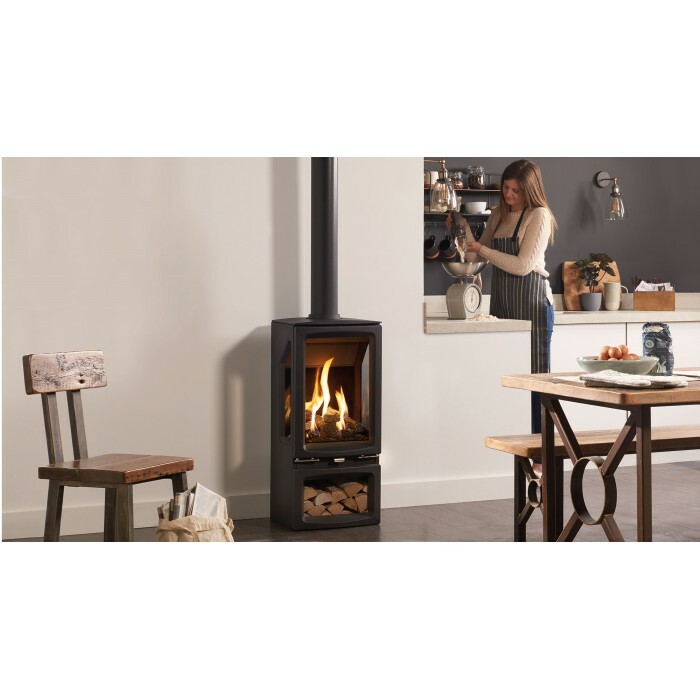 Each ceramic log is positioned to create varied and natural flames almost indistinguishable from a real wood burning fire. 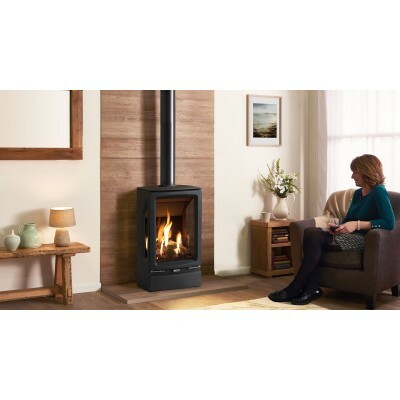 This contemporary stove is also available in Midline or Highline versions, which feature stylish bases that can be filled with logs to add to the wood fire aesthetic. 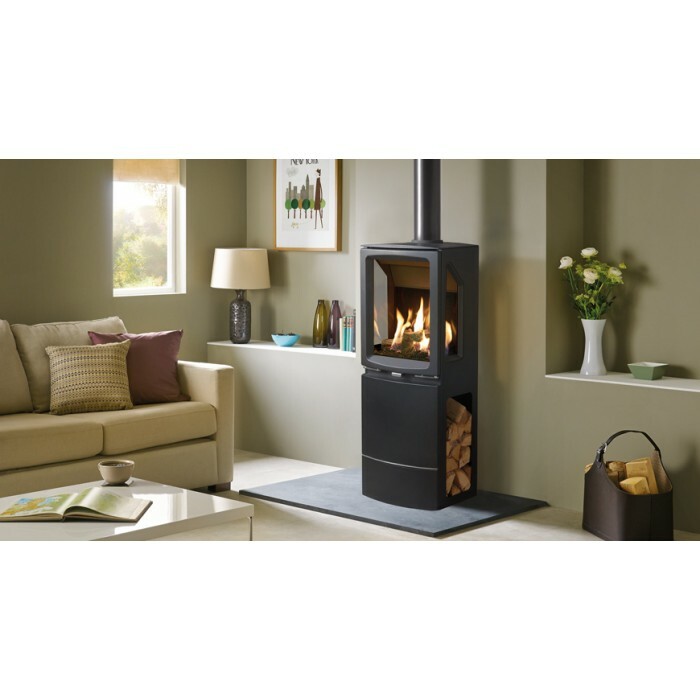 In addition, the Midi T balanced flue is also available as a wall mounted model.